If this ain’t one of the best news lately. 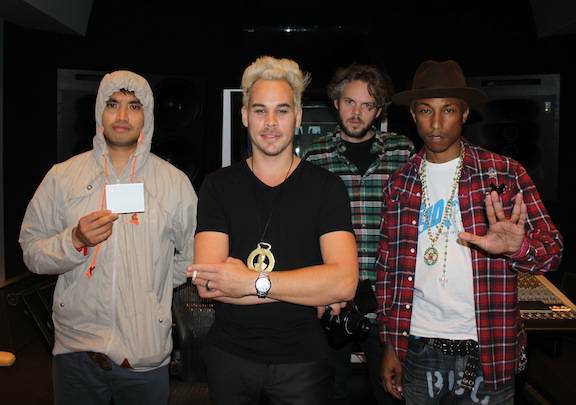 Are The Neptunes producing the whole Empire Of The Sun album? Empire Of The Sun sat down with Tonedeaf.com where they discussed working on the new album as well as The Neptunes producing the whole record “I’m in Miami working on the new Empire record with Pharrell [Williams] and Chad [Hugo] from The Neptunes,” Mayes says with barely a question posed. “We’ve written a lot of tracks and it’s going really well. It feels like a natural progression from the last record but in a more powerful way.” Awesome news right there, especially seeing people mentioning Chad Hugo in the studio as The Neptunes !